Tobias is an expert in strategic thinking, team building and delivering a vision. Tobias Lumb is the Director and Principal Consultant at North Star. He is a senior leader working in the museum and heritage sector. He has been directing and inspiring creative teams and departments for over eighteen years. Tobias has a wide breadth of experience of planning, developing and delivering temporary programming and capital projects of all scales. He brings together brilliant people led by a clear vision to deliver creative projects that are unique, innovative and high quality. In many cases these projects are large scale and high profile. 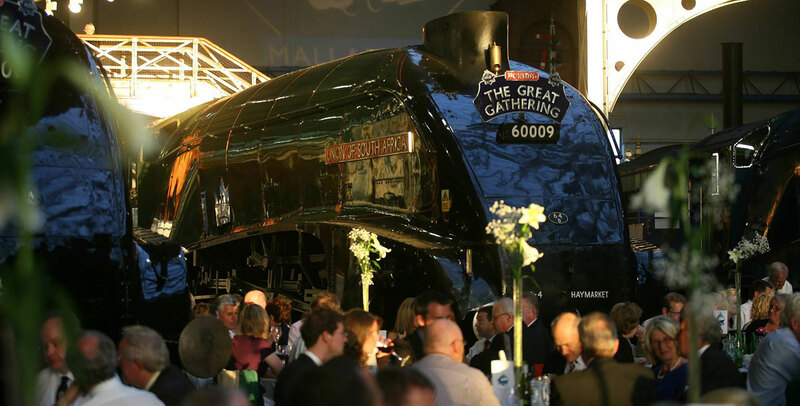 Gala dinner to celebrate the start of the Mallard 75 season at the National Railway Museum. Tobias has worked on many public funded projects in a number of different roles. As the Senior Exhibition Designer at Continuum Group, Tobias was responsible for the design and delivery of the ‘Unlocked’ visitors centre at Oxford Castle, an HLF funded project in a Grade 1 listed, Scheduled Ancient Monument. As the Senior Project Manager at the National Railway Museum he delivered the most successful programme in the museums’ history, a season that celebrated the 75th anniversary of the locomotive Mallard breaking the world steam speed record, which was seen by 365,000 visitors in 6 weeks. As Head of Public Programmes at the National Railway Museum Tobias was responsible for the Exhibition, Events and Learning Teams as well as exhibition led capital projects. Highlights include; an eighteen month creative collaboration with York Theatre Royal and the delivery of the site wide Masterplan. Tobias was also the Project Director for the £15M Great Hall redevelopment project. Tobias created North Star to support organisations of all sizes to deliver their projects, providing skills, experience and resources to help drive their projects to successful completion.